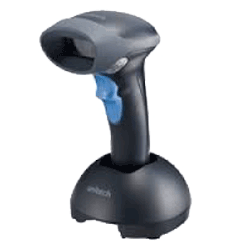 Unitech released its new MS840P wireless handheld barcode scanner which is being recognized as the industries best value. It offers the freedom and flexibility of wireless barcode scanners at a fraction of the price of Bluetooth. With a wireless range robust enough to accommodate a wide variety of operations, there is no need to sacrifice performance for price. Withstands Drops: The MS840P scanner is durable enough to withstand multiple 6 foot drops to concrete. Environmental Sealing: The Unitech MS840P has been tested and certified with an IP42 rating, which means it is safeguarded from water and dust to a certain threshold. The MS840 makes reading barcodes in busy working environments easy, and allows users to rest assured that they have captured each and every barcode.